KOSAKA is located on a charming Greenwich Village street. KOSAKA brings the serenity and allure of a Tokyo sushi restaurant to Manhattan. 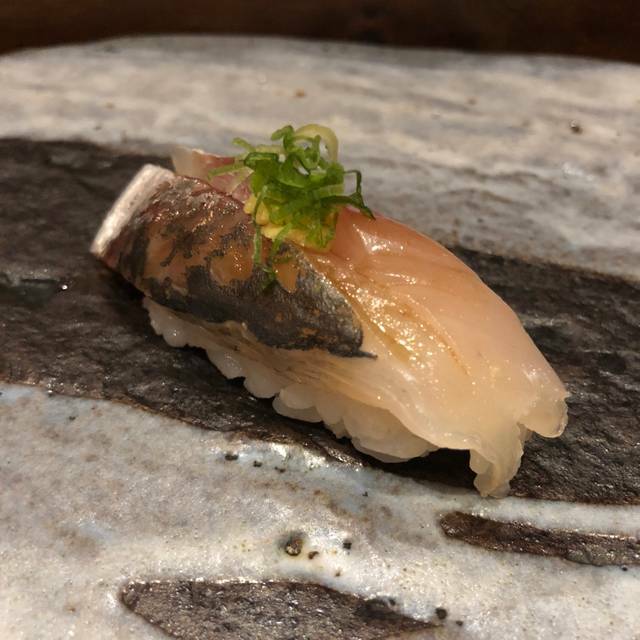 KOSAKA provides a unique combination of extraordinary food and an elegant appearance which fully embodies the Japanese Edomae Style. As a Michelin star chef for the past ten consecutive years, chef Yoshihiko Kousaka is also a traditionalist in his preparation of sushi. He focuses on the seasonal assortment of exotic fishes flown in daily from Japan and sourced locally and he changes his offerings daily based on what is available at the fish market, both domestically and internationally. 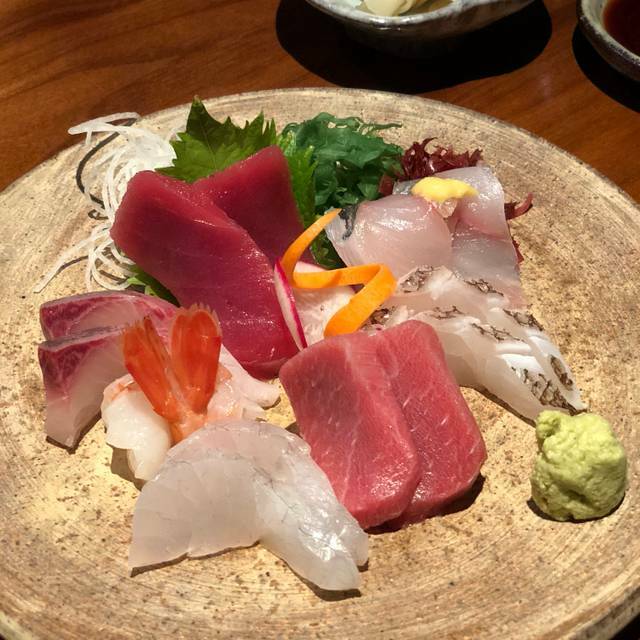 KOSAKA offers two omakase options: sushi only and sashimi & sushi. Any cancellations or reservation rescheduling must be made prior to 24-hour of reservation to avoid $50 charge per person. Food was great, but service was rushed. At one point they gave us 3 pieces of “delicate” sushi all at the same time and urged us to eat them quickly before they started to lose flavor and texture. They should have brought them out one at a time and allowed us to savor the delicate flavors and textures of each. 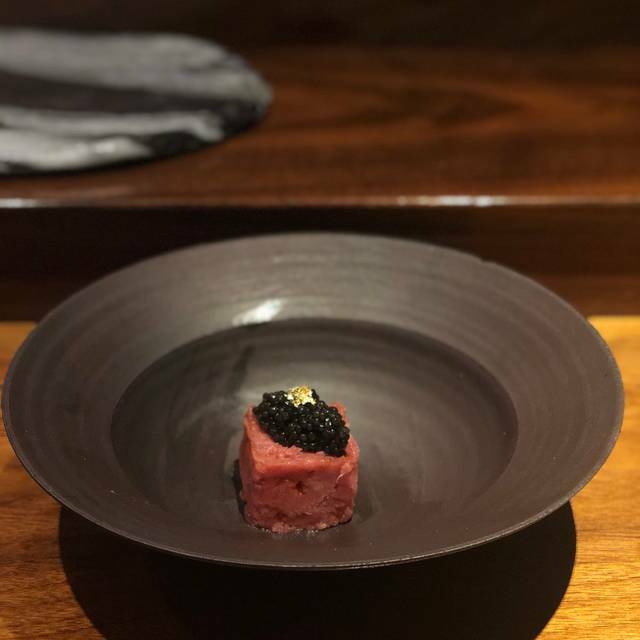 For the Omakase prices they charge ($155 or $175) plus drinks, the service and pacing should have been much much much better. I’ve eaten at other comparable restaurants in both the US and Japan and have never felt as rushed as I did here. Delicious and a unique experience. I would highly recommend. I recommend going in the middle of the week. It was quiet and intimate until a large group came in. The food got better throughout the evening. 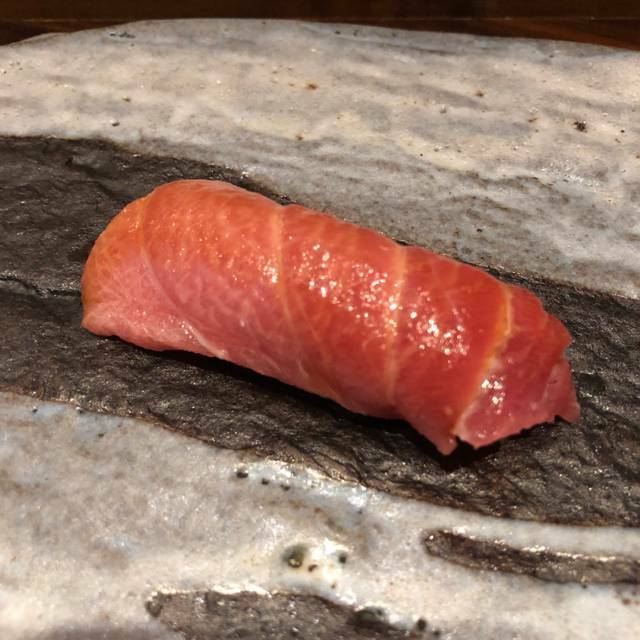 In the omakase, the uni was very fresh, otoro, the handrolls and the soup were excellent. The obligatory menu are either 15 pieces of sushi or 7 pieces sushi and 8 pieces of sashimi. 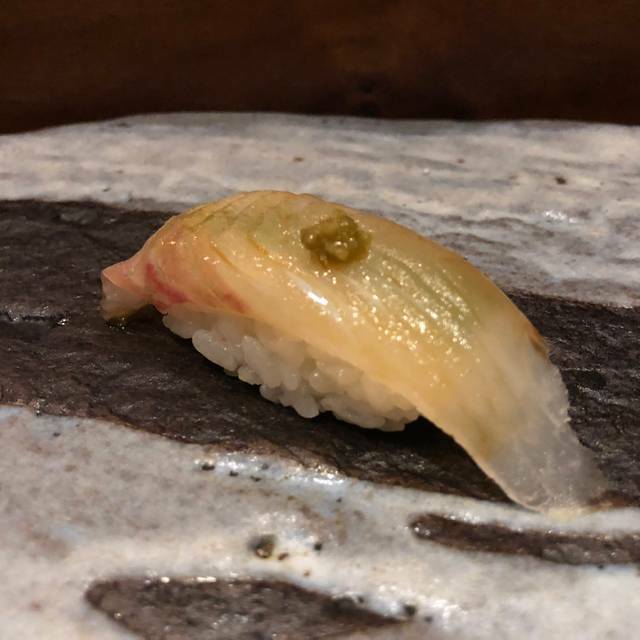 Everything is chosen by the chef (omakase). Other options are supplementary. Even though the food is good, it doesn’t have the refinement or exclusive taste combination, we’ve had in other Michelin Japanese restaurants. Therefore, we found the price exorbitant in relation to the quality. It is a very small restaurant (only 15/16 guests), so you expect an intimate setting. Unfortunately, 2 persons sitting on the opposite side of the room were talking/laughing very loadly all the time and this disturbed the whole atmosphere in the restaurant. Sadly, none of the staff reacted to this. i never wrote a review before.. many reasons for that, but i couldn’t avoid this one, kosaka is one of those places that leaves a footprint in your mind,from the start until the very end...amazing place, food and people.. everything is perfect, and you can try hard to find something wrong, you won’t find it... i have been here a couple of times ( iam from out of town) and i can say that i love japanese culinary,been in so many restaurants in several countries.. and i hate to use the “the best” , seems unfair.. but there is no other word for Kosaka !! well done! If you can get a reservation at the bar...always a great experience. The food was outstanding!! The staff always makes us feel special. I took my boyfriend for his birthday this year, and we did the omakase. It was incredible - so beautiful to watch the masterful creation of each of the 15 pieces of sushi. At the end of the meal, my boyfriend said I ruined sushi for him forever because nothing will ever compare now haha. exceptional food, very fresh ingredients. the staff was very friendly and accommodating. Some of the best sushi I have ever had. Exacting detail was our into everything. There is also a wonderful selection of sake. I highly recommend Kosaka. Most likely the best sushi omakase in NYC. Truly exceptional! Outstanding dining experience in every way. Gracious welcome, gorgeous space, intimate feel, understated yet perfect service and a delicious Omakase meal. The highlight was our female sushi chef! We can’t wait to go back. Loved every piece. Worth every penny. Small but roomy place to enjoy food. Noise level was low and it was very pleasurable to have a conversation and hear it. It has set omakase menu with al a crate extra but only two options for main meal. Food was delicious but it’s not for people who want variety. All in all I really enjoy the experience and fresh sushi and sashimi served. Don’t forget to order the foie gras sushi. It was the highlight of my meal. The food was pretty good but for the price it should have been the best sushi you've ever had. Some pieces were amazing, but most were just fine. At >$10 per bite, they all should have been amazing. You can basically get the $145 Omasaki, and/or some apps ala cart for $20-$45 ea. There are no rolls, no tempura, no miso soup etc...this is only a sushi bar. My favorites were the fatty tuna, smoked salmon and the mini toro rolls (not on the menu) . My least favorites were the Japanese trout (tough), grouper (veiny) and the bowl of roe (too much to be an dish by itself); but it doesn't matter because you don't get to see the options or have any say so in the selection; that's just what it is. Ambiance was too quiet for how close you sat to other people. We didn't feel like we could have a conversation without the 2 couples next to us listening in, which they obviously were. Every time a course came out everyone in the row had their eyes glued to us as we tried the dish...even though they are getting the same thing in the next 2 minutes. I got to know my neighbors well (tourists from Florida staying on 34th street) even though I didn't speak to them until the very end. The music was nice and at the right volume, there's just something about the "whisper" environment that was less than comfortable. I understand why people would rave about this place, but you just have to go in knowing these things and that a bill for 2, with no alcohol, will be $450+. There are too many amazing places in NYC to do this again, even for half the price. The art is fantastic though if you like hand made ceramics...just walk by and take a look in the window. An absolutely fantastic dining experience. I am very glad I grabbed an early rsvp because as the night went on things came out slightly slower because of a packed dining room. Came here for Valentines Day evening. The menu was superb. The service was professional. The setting was perfect. This place is truly amazing and the food prepared by Chef Yoshi and his team is brilliant. This is a must come! Thank you! A cozy, sleek one Michelin star restaurant. We requested to be seated at the sushi bar which is $10 more/pp, but that’s the authentic way to experience omakase. Service at Kosaka was absolutely amazing and attention to details. Every piece the chef prepared was fresh and delicious! 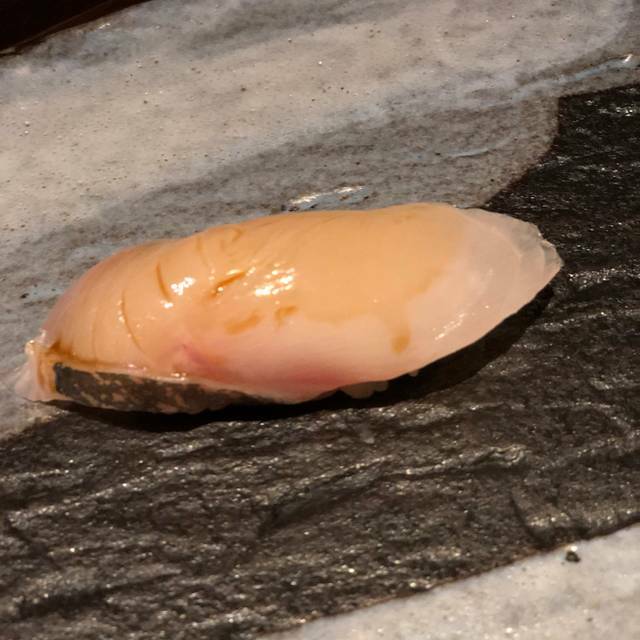 We added an order of a popular sushi delicacy monkfish liver. It was so good, soft, delicate and extremely rich and creamy. A few pieces really stand out for the night was the king salmon, otoro, sea scallop, tuna hand roll and fresh sea eel. A great place if you want a cozy intimate dinner with fresh and quality sushi/sashimi. Lovely venue with delicious food. But many places offer comparable fare for half the price. My favorite omakase. Every piece is better than the next. And don’t skip on dessert! I could not have asked for a better experience. It’s a small restaurant. We had great service from everyone there. You don’t have to shout over music or other people to be heard. But the star of the show is the sushi. It was hands down the best sushi I’ve had in New York. I told them ahead of time that we were celebrating a birthday. They made a small chocolate cake that was out of this world. I had a $500 gift card that I used to pay for the $410 meal. They ran the gift card and then asked me to pay the tip by credit card or cash. The manager refused to let us use the remaining $90 on a gift card as a tip to the employees. This is money that is already in the owner's pockets but they refuse to pay their employees more. That final note left a bad taste in my mouth as I left. The $90 tip was more than 20% they should have been happy to take it. There is no tipping in Japanese so the whole thing struck me as weird. Cannot wait to go back. 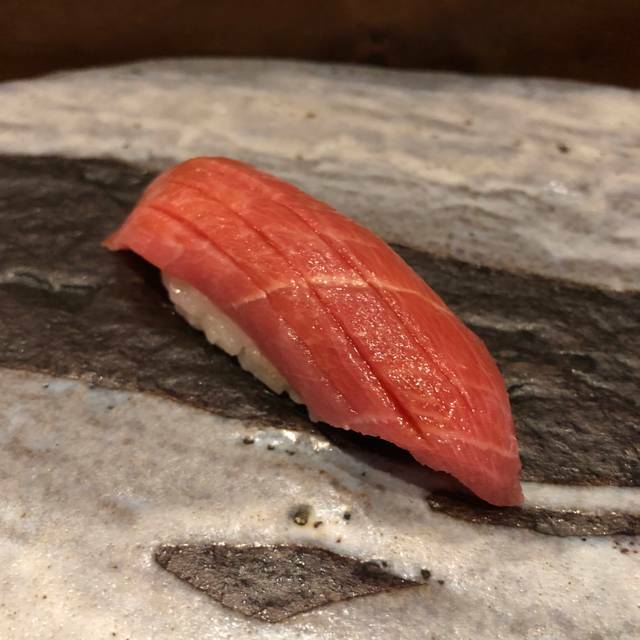 My first omakase experience and it was a very high bar that all others are going to have to live up to. The staff was very polite and helpful. The food was off the charts. I am still thinking of some of the flavors days after my meal. Highly recommended. I have been to other Michelin starred restaurants and this is so far my favorite. We expected top notch Omakase and received mediocre sushi. It was not bad by any means but not worth Michelin star. Food was simply perfect however I was charged twice (the bill was about $500 for two people, I got charged about $1000) I have found out 2 weeks later looking my credit card statement. I have immediately contacted them, they apologized, however, they didn't refund my credit card but strangely have sent me a check (? )....go figure. The perfect place to celebrate an engagement with quiet atmosphere, attentive and courteous staff, and absolutely incredible fish. I highly recommend the sushi omakase. We loved Kosaka. The service was friendly and attentive, but never pushy. The atmosphere was super chill, with soft lighting and nice jazz playing softly in the background. The food was a revelation. We had the sushi sashimi omakase. Each piece was delicious. Many pieces were sushi we’d had in other sushi restaurants, but done with such care, precision and high quality ingredients that they managed to surprise. Other pieces were completely surprising and new. Everything was astoundingly good. We left full and very, very happy. 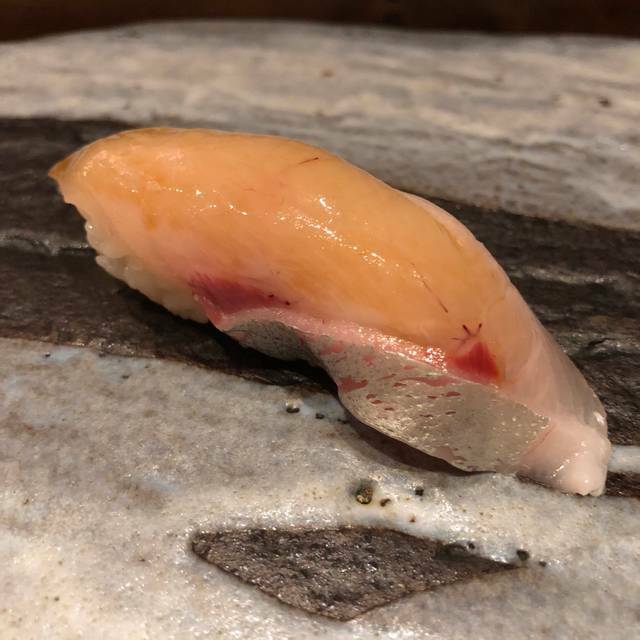 Kosaka is not cheap, but we felt it was worth every penny for such a unique and delicious dining experience. Selection of sushi and even a desert. Chef and staff were all very friendly. It was a relaxing and satisfying experience at Kosaka. The intimacy of the sushi bar made for a fun and interactive evening with the chef. The attention to detail was above and beyond and the service was attentive and accommodating. Chef Yoshi and his staff are incredibly hospitable and the food is absolutely outstanding. Try to sit at the sushi bar and don't be afraid to strike up a conversation with the chefs, they are extremely knowledgeable about sushi and very fun to talk to. They even gave amazing recommendations to their other favorite restaurants around the city! 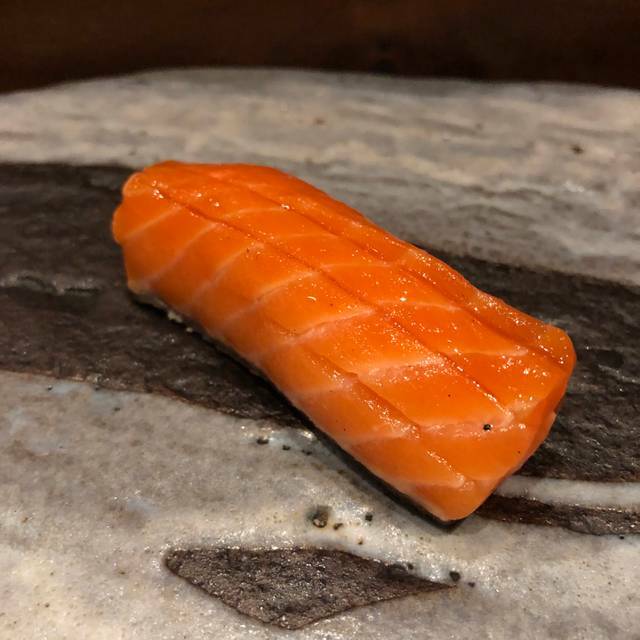 As a whole the experience was incredible and my favorite omakase to date. Amazing experience. I truly recommend. Food and service are perfect. Great experience. Overall great Omakase menu and very friendly staff. Great experience I enjoyed the many different varieties of Sushi some that I've never tried before. The food quality was on point some of the best Sushi I've every had. When it comes to overall food quality and service I had a really great experience. Only downside is the place is small so that affected the ambiance. Nice place but they did not have any of their advertised special Uni dishes which is a big part of their on line menu. The sushi was good quality but it does not compare to other outstanding Sushi restaurants in the city at the same price point. All the Sushi that we had were amazing! Everything was very fresh and tasty. We had sushi at counter and we enjoyed the conversation with chef. He was very friendly. I was fun the dinner.